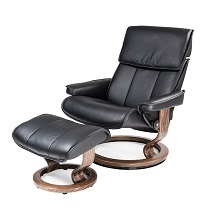 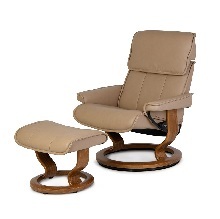 The Admiral large chair and ottoman by Ekornes of Norway, available in black Paloma leather with a walnut classic base, brings the classic comfort of Stressless products with high quality comfort and design. 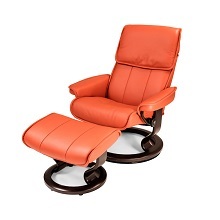 The Admiral provides full-body support and is especially comfortable with its ample pillow-like headrest. 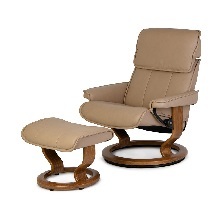 Available in medium and large sizes in several colors.